The Free Folk are coming! 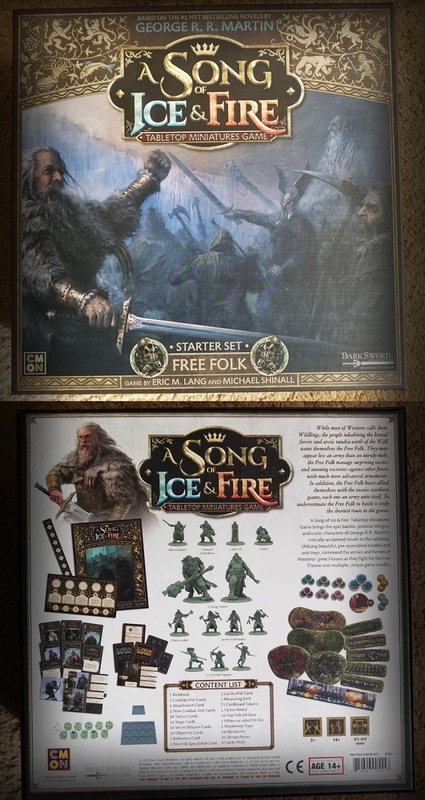 Here's a little preview on the new Army Box for the latest faction for the Song of Ice and Fire Miniatures Game. 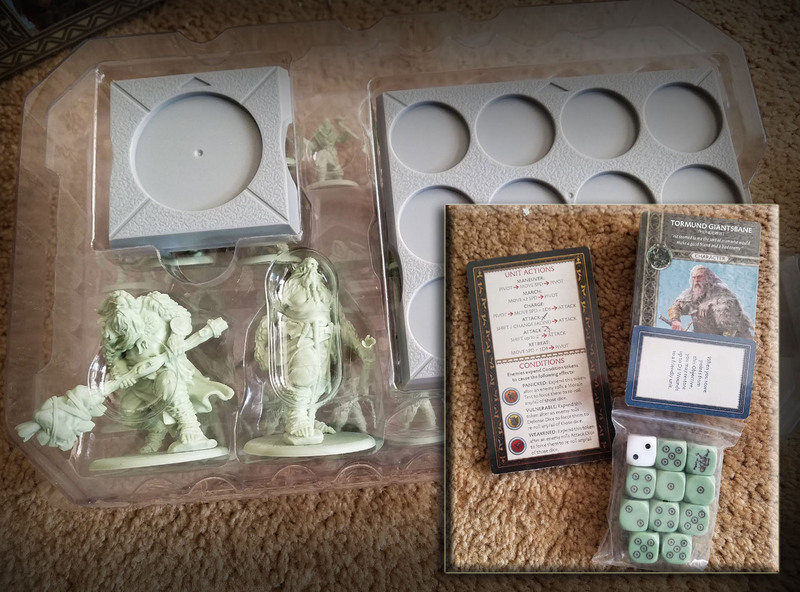 As with every starter box, all the counters and cards are included, along with a copy of the rules and the political track. Glorious! 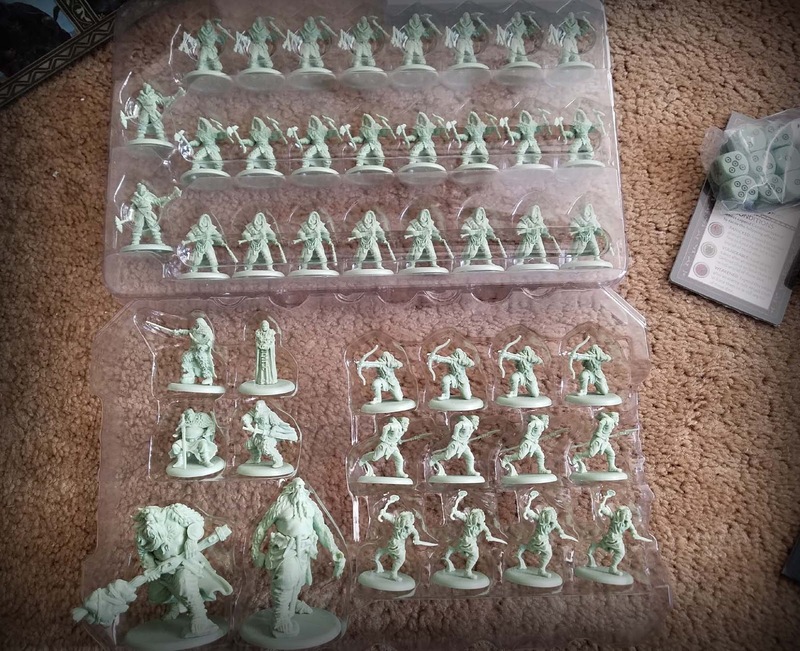 Enough to make 3 infantry units, attachments and a pair of Savage Giants! Here are your characters: Tormund Giantsbane, Mance Rayder, Craster and Lady Val. 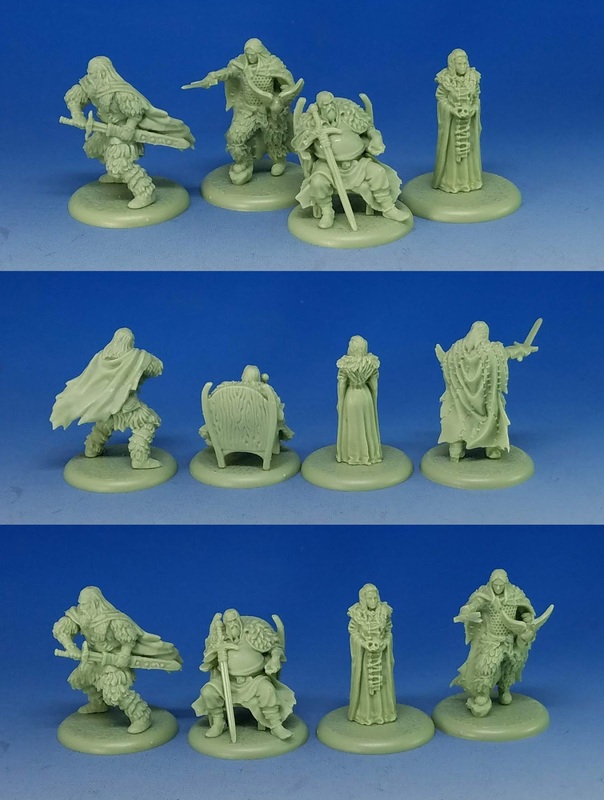 With each new faction that is released, the quality of the casting continues to increase. The sculpting was always great, but now the details of these final casts become more and more crisp! 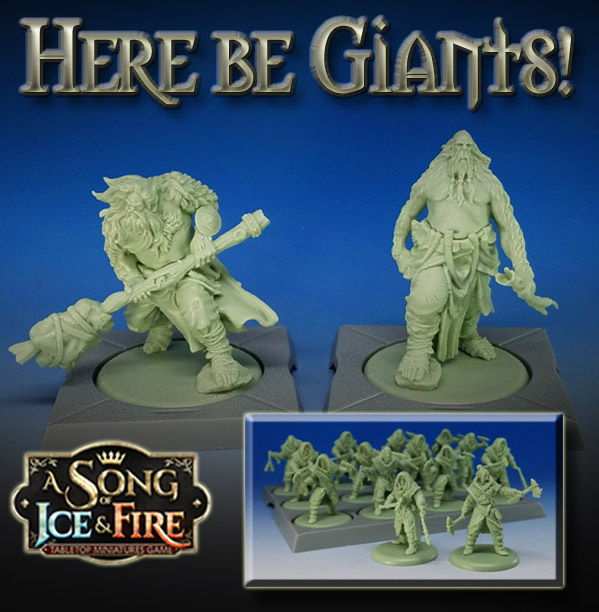 The giants have some very unique aspects, and lots of character. There should be lots of opportunities to get variations in the skin tones! Not having to deal with a ton of parts (most likely resin) or other assembly is great. 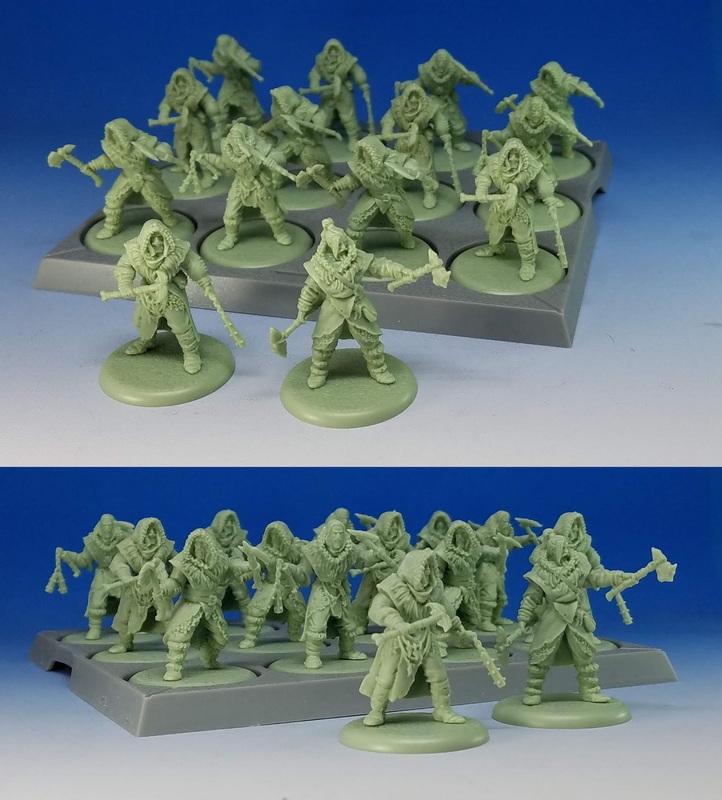 All I had to do is file some mould lines, and these are ready for priming. I am already filming tutorial videos on these, so stay tuned!! The Free Folk Trappers are so dynamic for these "one piece" figures! I have also been very intrigued by these combo units that have both missile and hand to hand combat abilities. Usually it is all one or the other, and their uses are blatantly obvious. 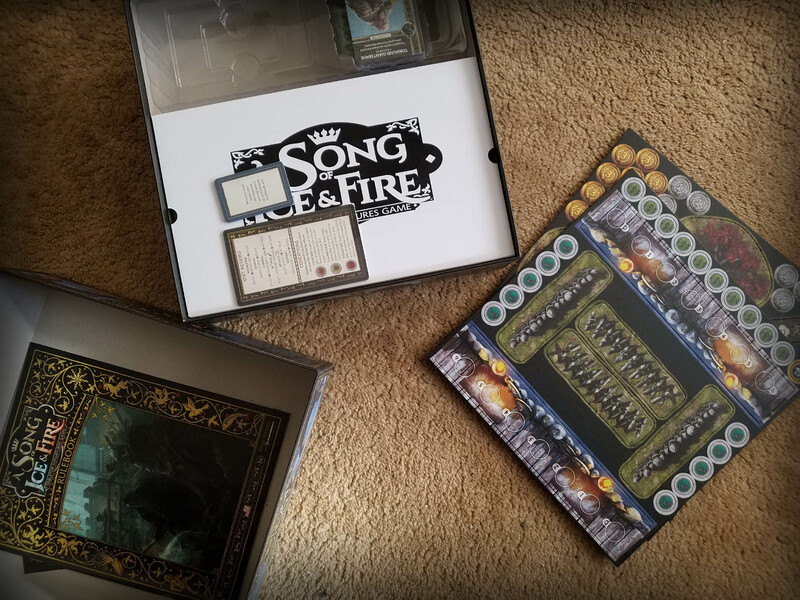 I can't wait to have several of these dual purpose units out on the table together, since it becomes that much more difficult to anticipate what will happen! Two Raid Leader attachments are also included in the box, so I will be able to do a few of these units in video tutorials. 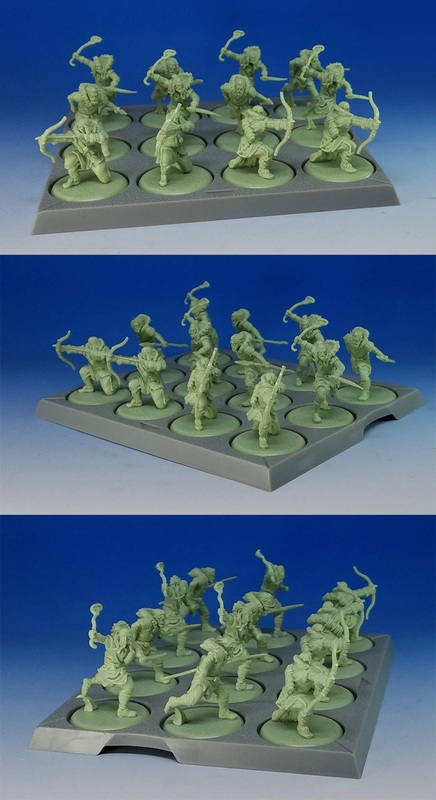 One of these Trapper units will be my next unit featured in Army Painting series 6 on the Patreon Page.